Google is at IUCN WCC 2012! 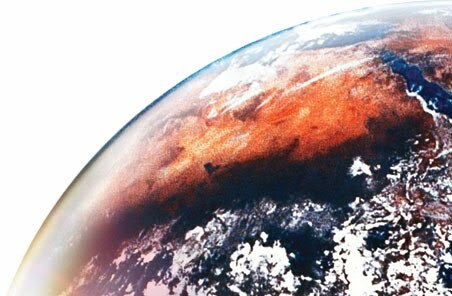 Google believes in the power and potential of technology to support the conference’s core themes, including sustainable development and the growth of a green economy. IUCN provides an excellent opportunity to demonstrate how a wide variety of organizations from around the world are using online tools to better understand and seek solutions to real-world environmental challenges. Where do you find Google at IUCN? September 7-11: We invite all conference attendees to visit us at our booth in the main Exhibit Hall. Come by and get a live demo of Google mapping tools for conservation! The Nature Conservancy's Atlas of Global Conservation is over 80 global maps describing the state of terrestrial, freshwater and marine habitats -- TNC uploaded them to Google Fusion Tables to display them as a map, but allow others to collaborate easily. Read more here! 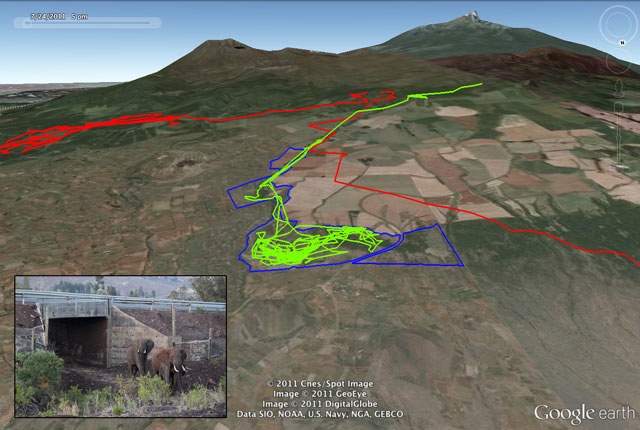 Save the Elephants uses Google Earth to track, study, and protect elephants from poaching with geofences and satellite collars on elephants. Read more here! 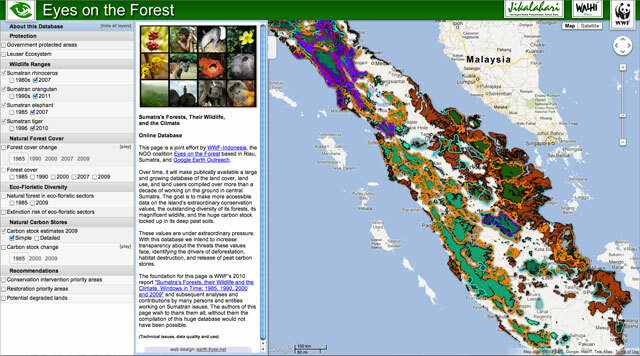 WWF built for eyesontheforest.or.id, a catalog of maps rich with information about the change in Sumatra’s forest cover, tiger, elephant, rhino and orangutan ranges, floral diversity and carbon stocks over time. Read more here! 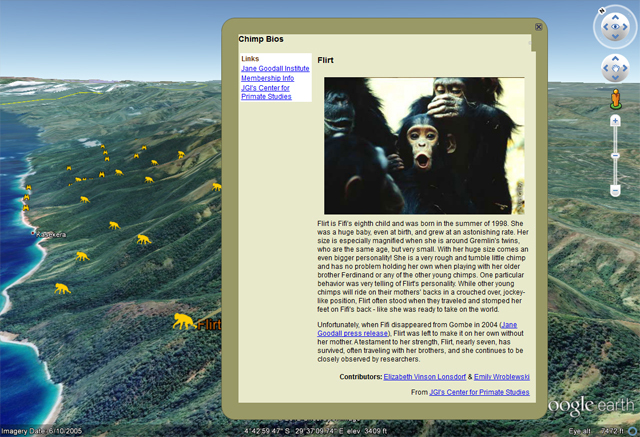 The Jane Goodall Institute uses Open Data Kit for community forest and chimpanzee habitat monitoring projects in Tanzania, Uganda, and the DRC. Read more here! In June, we unveiled the initial fruits of a unique collaboration with a member of the European Parliament and the Society for Conservation Biologists: a global, interactive map of the world’s “Roadless Areas.” Read more at our blog, and explore the map now!